Norma passed away peacefully at Rockyview General Hospital on Thursday, October 25, 2018 at the age of 88 years. She is survived by sons, Calvin (Patti), and Brian (Anne); her grandchildren, Laura, Eric, and Hannah; and great grandchildren, Merrick, Gabriel, Alinafe, and Olivia, who she dearly loved. Norma is pre-deceased by her husband Harold, who passed away in 2012. Norma was born in Hardisty, Alberta. She lived in numerous small towns, and moved to Calgary when she married Harold, of Hay Lakes, in 1950. She worked for the Royal Bank, a doctor’s office, and for many years at the Alberta Treasury Branch. She lived her life to the fullest. 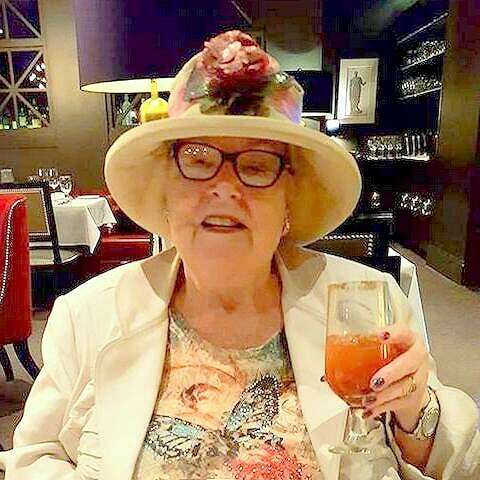 Norma loved to play poker and was well noted for fashion, fine clothes and especially hats.